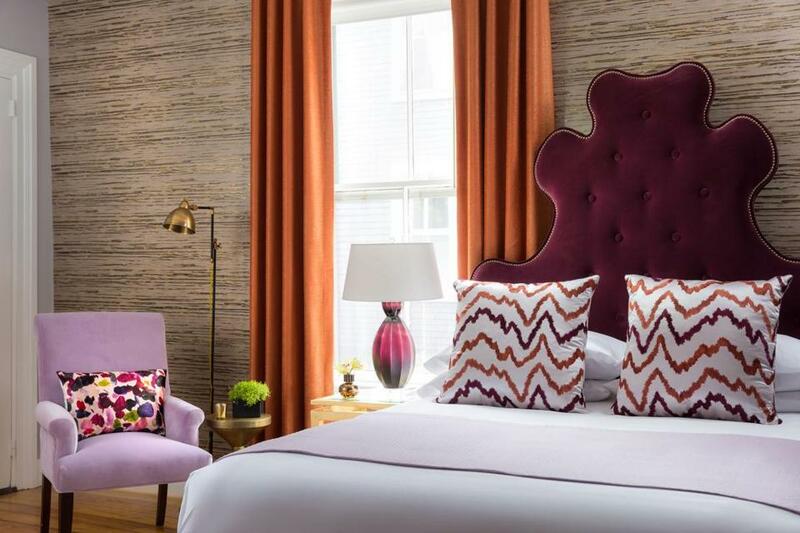 Browse stylish boutique hotel collection designs at The Shop on Newbury Street. Maid service. High-thread-count sheets. Nicer décor than whatever you have at home. A mini-bar. Who hasn’t longed to move into a hotel at one time or another? Well, now you can — sort of. Lark Hotels hosts a pop-up at Newbury Street’s The Shop, kicking off on Dec. 13. Here you can browse the stylish boutique hotel collection’s designs for your very own abode. Each hotel has a distinct theme, from coastal retreat to mountain rustic to swanky aristo. They’ll stock island décor from their Martha’s Vineyard hotel, Summercamp; ski-chalet-themed designs from their Vermont outpost, Field Guide; Gilded Age goods from their Newport hotel, Gilded; Lather bath products; bedding; and more. Shop everything from pillows to knick-knacks to furniture to unusual trinkets that you really only find in hotels, like painted paddles (a relative steal at $85), cardboard deer heads (starting at $30), and a shark sculpture (save this for someone extra special, since it’s $495). The truly generous can also purchase hotel stays as gifts — or perhaps buy one for yourself, if you’re expecting an onslaught of holiday guests and want to hide. The pop-up will host an assortment of shopping events by night, too, including a trunk show from fashion designer Ellie Kai, an M. Flynn jewelry pop-up, and holiday decorating workshops. Stressed shoppers should visit on Dec. 17 for head and neck massages from Lather. The festivities last from Dec. 13 to Dec. 18, beginning at 11 a.m.